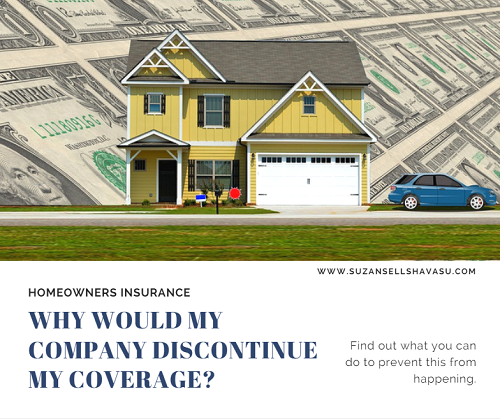 Homeowners Insurance: Why Would My Company Discontinue My Coverage? 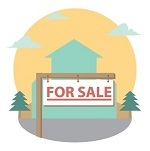 Owning a home is as American as baseball and apple pie. But, with Lake Havasu homeownership comes great responsibility. When something goes wrong, you can't call the landlord to come fix it. You're the landlord now. Most lenders require that you obtain homeowners insurance as one of the conditions of your home loan. Major problems cost major bucks. Did you know that your insurance company can cancel your coverage or opt not to approve renewal? If this happens, it might be difficult to find coverage through another company. Why does this happen? Homeowners insurance companies cover most pets. Sometimes, these pets get out and destroy someone else's property. They might even harm another person. While unusual, it happens. And that's what insurance is for. However, some insurance companies consider certain breeds of dogs and exotic pets to be more dangerous than others. If you own a pit bull, you may have heard how difficult homeowners insurance can be. But exotic animals like poisonous spiders, certain lizards, and snakes cause concern for future claim filings. Therefore, if the insurance company knows you have one of these pets, they'll cancel your coverage or refuse to insure you altogether. Lake Havasu homeowners should also beware of filing too many claims. Insurance companies don't make a profit if they have to pay out money. So, if you file too many claims on your homeowners insurance within a specific time period, they might drop you. How many claims constitutes "too many" claims? Insurance companies reported that homeowners typically file one claim every ten years or so. But, accidents happen. And as homes age, the chances of pipes bursting or other system breakdowns happening increases. If you file more than one claim per term (usually 12 months), you'll be considered a "high risk". That's when your insurance company says "bye-bye". Believe it or not, your insurance company might send someone out to check on the condition of your roof. For Lake Havasu homes, summer heat and monsoons can wreak havoc on a roof. When the roof is damaged, it can create other problems inside. If your roof is in poor shape or in danger of problems due to any overhanging tree limbs, they could request that you fix these issues. Ignore their requests and you might find yourself without homeowners insurance. While the other issues listed above are things you can rectify, this one's out of your hands. Sometimes, insurance companies refuse to cover homes in certain high risk areas. What's considered "high risk"? Any home in a flood, fire or major storm-prone area or somewhere with excessively high crime rates. As I said before, insurance companies don't stay in business if they have to pay out a lot of money. You'll need to go to an insurance company that specializes in higher risk properties. However, prepare to pay much higher premiums. Now, there are some things you can do to increase your chances of not being dropped by your homeowners insurance company. Conduct regular maintenance of your property. Keep trees trimmed away from the roofline. Check the roof for cracked or broken tiles every few months. Look out for cracks or chipped stucco on the exterior of your Lake Havasu home. Make all repairs quickly to avoid any further damage. Finally, it's a good idea to set aside money specifically for maintenance and repairs on your home. Only file claims on the big stuff. Otherwise, you might find that your insurance company has dropped your coverage.